You are here: Home / reviews / Looking for an unusual teacher gift? 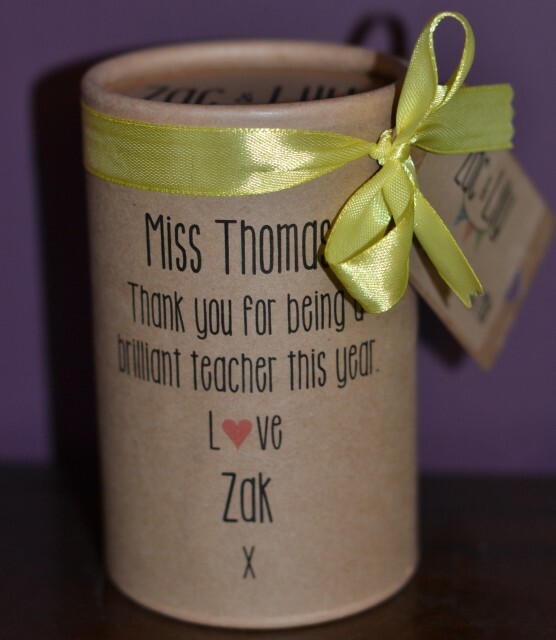 Looking for an unusual teacher gift? I feel very blessed this year that all three of my children have had the most wonderful teachers and learning support assistants. I can’t quite believe where they are now compared to the start of the year. Hannah especially, has astonished us. My tiny little still 4 year old can read almost as well as her big sister ( although we’d never tell her big sister that ) but more importantly she is confident and happy in her class. Zak, despite barely practising is getting to be a fab little oboist and has also grown in confidence throughout the year, representing his class in assemblies and elections and making lots of new friends in his new school. Sydney has discovered a love of writing and adapted to the challenges of Year 1 much more easily than I expected. She’s changed so much from this time last year, her cute little chubby face has thinned out and she somehow seems so much older. I’m feeling very ready for Summer and a break now, but at the same time clinging onto what has been a lovely Year R, 1 and 3 for my children and am extremely sad to be saying goodbye to their teachers, but I do like the chance to buy presents for people and always try and do something a little different. Zak’s teacher will be the lucky recipient of this gorgeous personalised cookie mix by Zac and Lily which I think is just fantastic and great value at just £5. It looks worth a lot more than the price, which is brilliant someone like me who has a lot of gifts to buy! We also LOVE this personalised pretty pamper gift from Hampers By Lucy. Isn’t it beautiful? Priced at just £8.99 I think this is a really special gift, definitely one I’d be very happy to receive. Last but definitely not least I have these gorgeous seed balls for someone. I’m quite intrigued by them so might keep one for me. 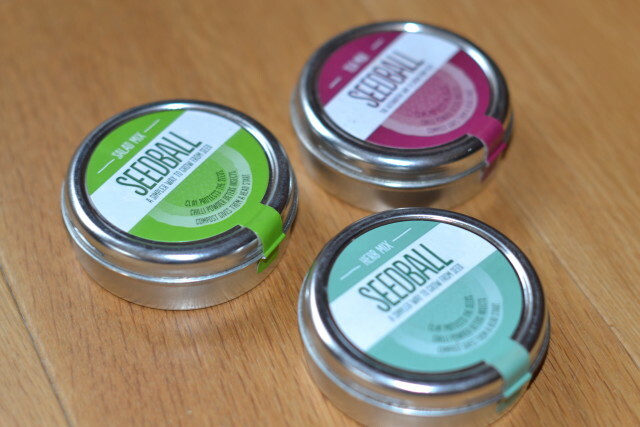 Each ball contains about 100 seeds, peat-free compost, clay and chilli powder. All you need to do is scatter them on top of soil or compost and leave to grow. The clay protects from seed predators and the chilli also deters predators while the ball degrades and the seeds sprout. Do you know anyone who would love these gifts? As a work from home Mum myself I love the ethos behind All by Mama. It’s tough trying to work and bring up a family and I always try and support anything making the difficult work/life balance easier. All by Mama is a unique marketplace featuring a beautiful range of products lovingly created by mums working from home whilst juggling the joys and demands of family life. We were sent the items above for the purpose of this post. Such lovely ideas and as a teacher I’d have been happy to recieve any of those! Except secondary teachers rarely get gifts! I love the gifts available at All by Mama. I still need to sort teacher gifts and am fast running out of time. Such lovely and different ideas, they will be chuffed with those for sure ! Thanks for the inspiration! What a brilliant find, as an ex teacher I would have loved these, especially the seed balls! Cass@frugalfamily recently posted..Six ways to make some money fast….